okay, you ever have one of those crafting times. 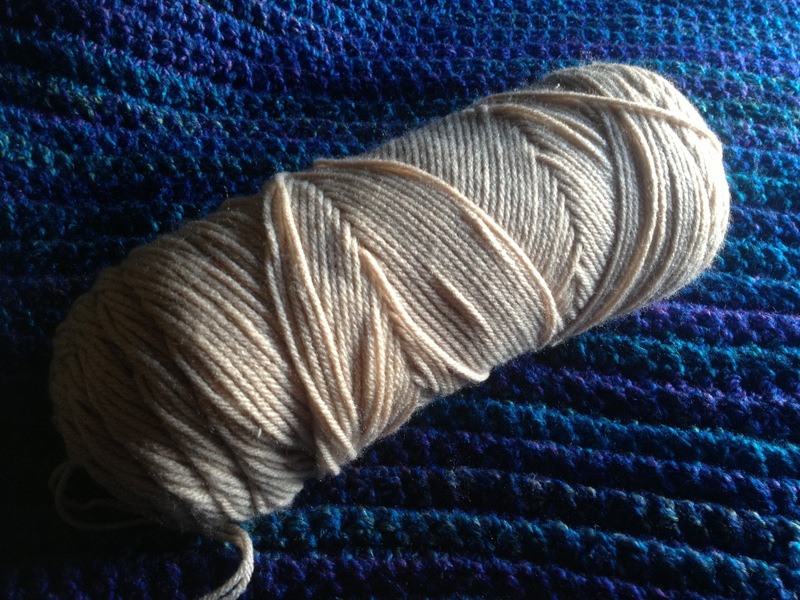 You know those times when you have the perfect yarn to use, but can’t fnd the right pattern. Or you know those other times when you have the perfect pattern…….. but not enough of the same yarn in your stash to make the item. I call this caught over a crafty barrel!!! Walmart red tags….. They are of the devil!!! So, I’m walking thru Walmart yesterday, pursuing the yarn aisle as I am prone to do, and I notice these little red tags under certain skeins. Now I’m always saying, “you can never have to many colors”…. So with that in mind, I allowed my search to begin. 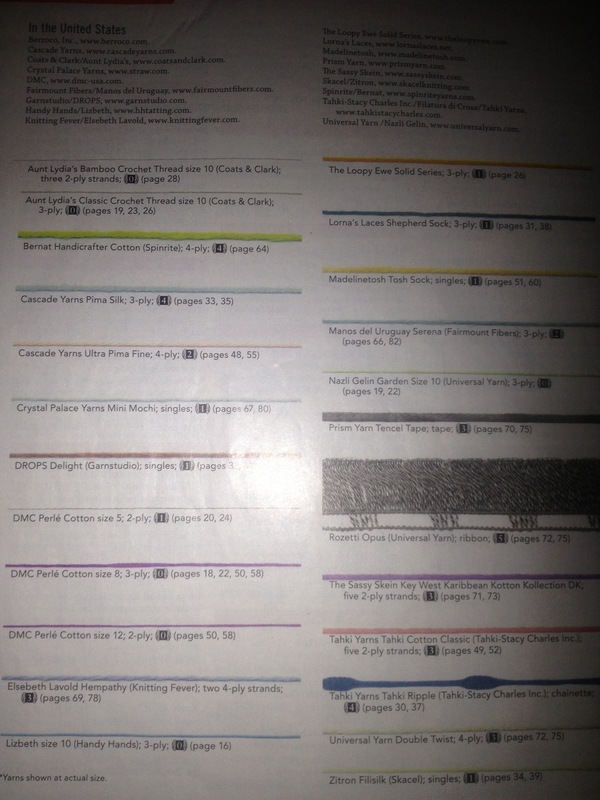 I found some colors that I don’t have, and they aren’t small amounts. I’m finding I love the one pound skeins!! I have been “spitballing” Christmas gift ideas. This will be the first year that I give hand made gifts. I’m very excited about it. I’m very in love with Ombré right now and people can always use a storage basket…. So I’m trying to find a way to combine these ideas…. (At least for the women in my family). I think the guys are getting something else. Something useful, but something else none the less…. Sometimes the bargain bin just screws you…. 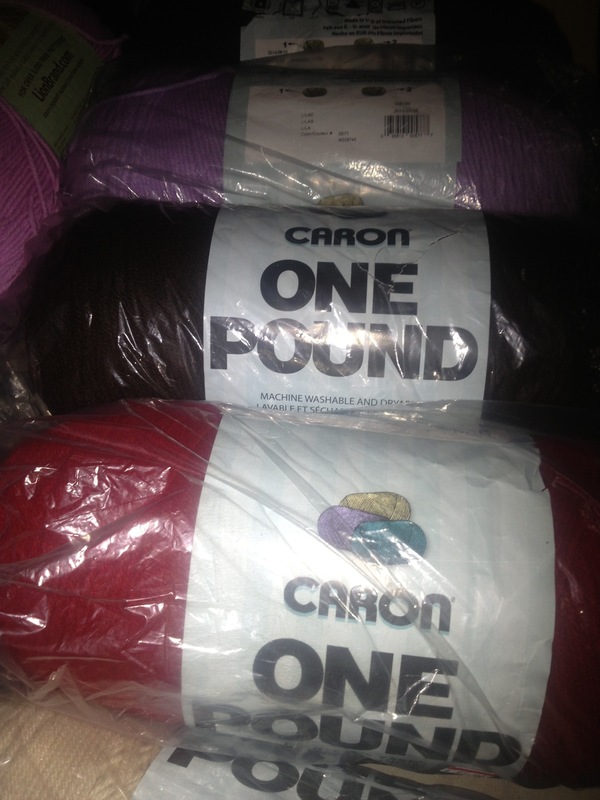 The Bargain Bin can be a great place to get yarn to increase your “stash”. They tell you the weight of what your getting (oz & lbs.) 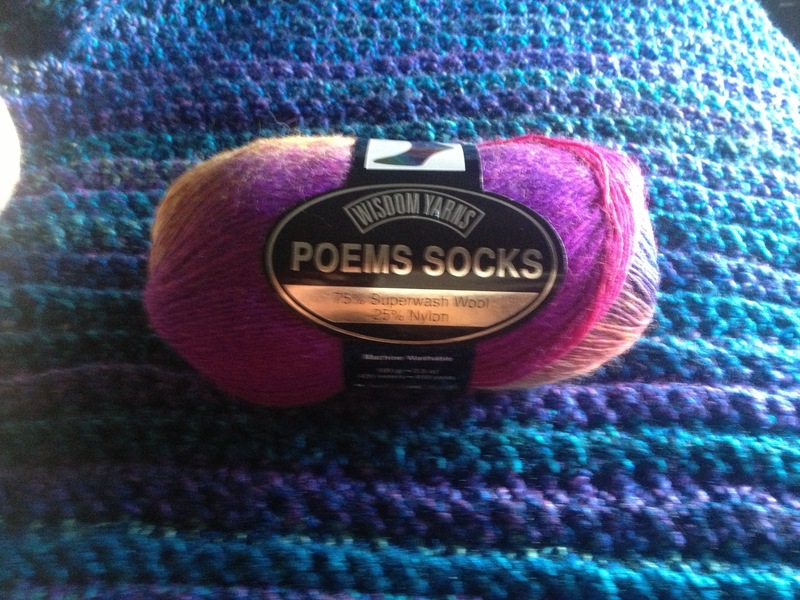 , but not necessarily the weight of what “it” is ( yarn weight, 1,2,3…etc). Currently, I’m perplexed as to how to use this….
. The colors are great fall colors. I’m thinking of trying to use it for a wrap or cowl or maybe a shawl of some sort. Who knows….. I have roughly one pound of it. But I can’t tell what size it is…. 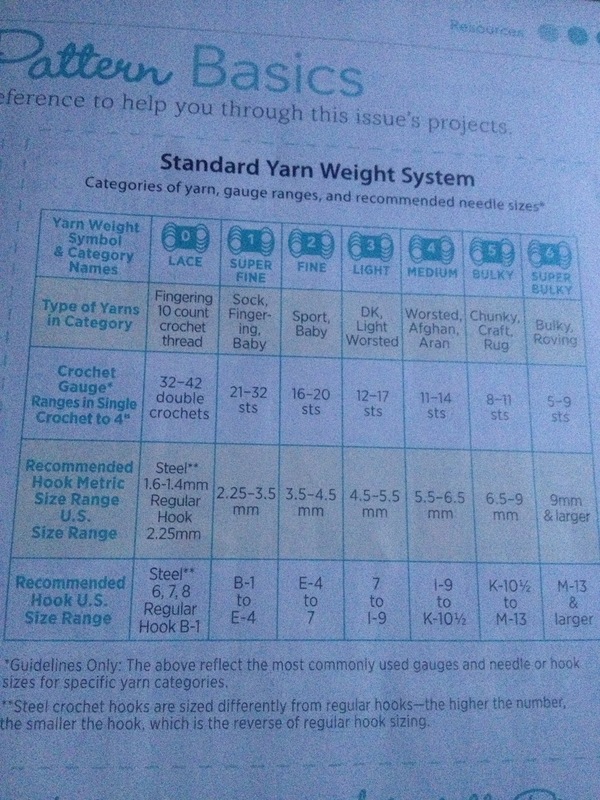 Is this considered a thread?, lace weight?, a number #1 yarn…….?!?! Who can really tell?!? certainly not me…..
Alas, I’m drawing a blank. 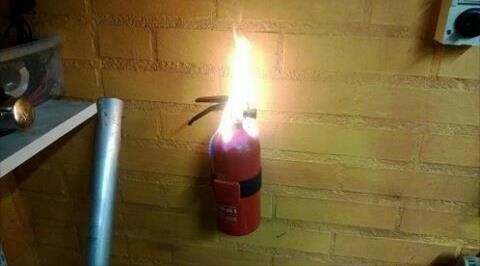 I don’t think I’m dumb, but this is trying to prove me otherwise….. Okay, I have watched my Mother sew for many years. From time to time I noticed her working with this white plain ole fabric. Well one day I asked her what it was, she kindly replied “muslin“. O.0 … 0.o … She went on to explain that she used it to do a “mock up” of a difficult pattern, especially when the fabric that is to be used for the project is expensive or delicate. Me personally I think my mother is the best seamstress in the world. She’s a perfectionist and her standard motto is “I don’t make junk”. That being said, her word is gospel about all things sewing in my eyes. This is what I call my crochet muslin. 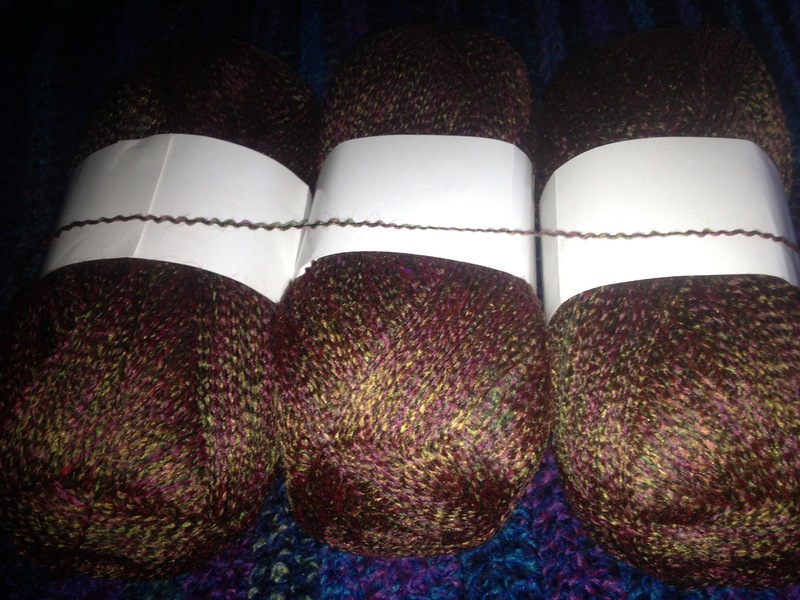 A cheap yarn find that I got out if AC Moore’s bulk bin. Why you ask?!? Cause you can’t always practice on pretty, delicate, expensive yarn!!!! Example. I have been wanting to learn how to do the Foundation Single Crochet (fsc). Cheap light colored yarn is the best thing to practice on. It slows you to see your stitches, I also find it easier to see the errors…. Crochet Muslin because using expensive yarn to practice is just uncivilized…..
Little known fact: I started crocheting this year. In March to be specific. I was taught how to chain & single crochet and that was the extent of what I was shown. I thank the co-worker that introduced me to it, because I had been looking for some type of creative outlet for a while. Everything else that I have learned has been self taught or I have learned from the Internet and reading. 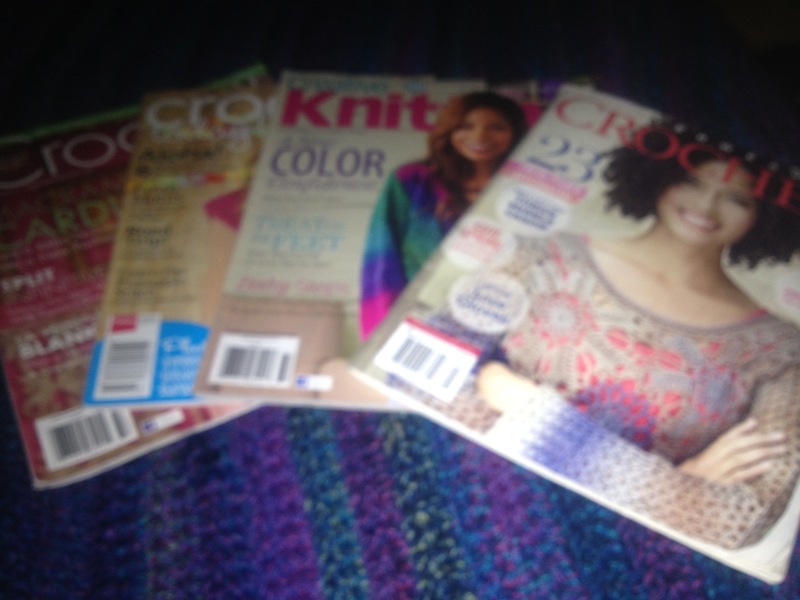 To date I can single crochet (sc), double crochet (dc), half-double crochet (hdc), and Triple Crochet (tr). I can read patterns, although I still have to look up terminology from time to time. …… All that being said…… I NEED TO LEARN HOW TO KNIT TOO!!!! I keep seeing these cute dresses, and wouldn’t you know it 95% of them are knitted….. So it’s time to teach myself how to work with some new tools. I drooled over these so bad…… I cast 10 stitches, before my hand started hurting to bad….., so there will be a lot of knitting reading going on…..
Now what do I do?!?! So…. I broke my hand. Not much getting done creatively…… But the search continues, for projects after the mend. ……. So…. I’ve been looking at this pattern for a couple months. I’ve been uber intimidated to even attempt constructing it, we’ll I bit the bullet this weekend and brought some yarn to actually make it. My intention is to make a “tester”…. To verify that I can follow this pattern, then to make the actual one ……. As I need to probably Chang the dimensions to get a good fit… Wish me luck!!! I’ll keep you posted…..